So goes "And The Money Kept Rolling In," from Evita. It's an appropriate metaphor for the breathtaking, rapid-paced revival currently being mounted by the Twin Cities' Theater Latté Da. Helmed with muscular invention by estimable director Peter Rothstein, Evita could very well be his most ambitious work yet. 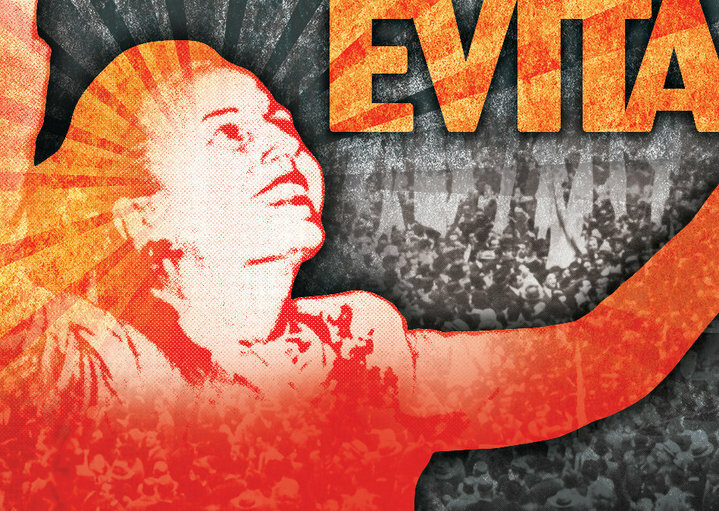 Evita not only steams across the stage like a speeding locomotive, but it also manages to soar to high-flying heights for this highly innovative theatre company. Never one to rest on his laurels as one of the Minnesota theatre's premier directors, Rothstein doesn't seem content to let his audience rest either. Indeed, Evita zips by in a quick two hours and twenty minutes (intermission included). Much of the breathtaking propulsion is set by choreographer Michael Matthew Ferrell's entrancing tango, in which every actor is summoned to partake. Fortunately, Rothstein has found exceptional talent to keep up with nary a breath. As Evita herself, Zoe Pappas offers a towering if often overpowering performance. But that seems completely justified given Eva Peron's own commanding reach for fortune and fame. Pappas invites them in as a first-rate triple threat. She demonstrates enormous confidence and competence in finding the Argentine First Lady's subtle shadings. Pappas' vibrant singing voice could easily fill an auditorium ten times the size of the McKnight, and her dancing prowess is one rarely seen in leading ladies. Yet it's the enormously charismatic Jared Oxborough whose little touch of star quality grabs hold of you long after you leave the theatre. As Che, Oxborough infuses his narration with so much star power that it's a wonder he's not performing on a Broadway stage. Blessed with natural charm and an intoxicating singing voice, Oxborough makes it seem so effortless. It came as a shock for me to learn that this gifted actor recently graduated from college where he was better known for his agility on the ice (as in hockey). He practically skates circles around the rest of the cast. While not perfect, there is much to adore about this Evita -- arguably the best and most satisfying of musical collaborations between Andrew Lloyd Webber and Tim Rice. Musical director Denise Prosek manages to make her quartet sound like a full orchestra. Rick Polenek's monumental scenic design sets a new benchmark in excellence for the company, supplemented handsomely by Paul Whitaker's wonderfully evocative lighting. And Rich Hamson's impeccable costume design ensures that this Evita is dressed to the nines. As for the tune referenced at the top? Well, fortunately for Twin Cities audiences, there is no blink or you'll miss it. 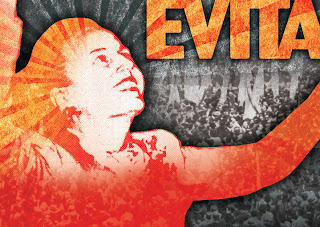 Excellent advance ticket sales already came rolling in, enabling Evita to extend its St. Paul engagement by another two weeks through November 14, 2010. In keeping with the new Federal Trade Commission (FTC) regulations that unfairly discriminate against bloggers, who are now required by law to disclose when they have received anything of value they might write about, please note that I have received nothing of value in exchange for this post. However, in the interest of full disclosure, please note that I am not only a donor to Theater Latté Da, but I also participate in its community advisory council. Whom Would You Cast In August: Osage County Film?